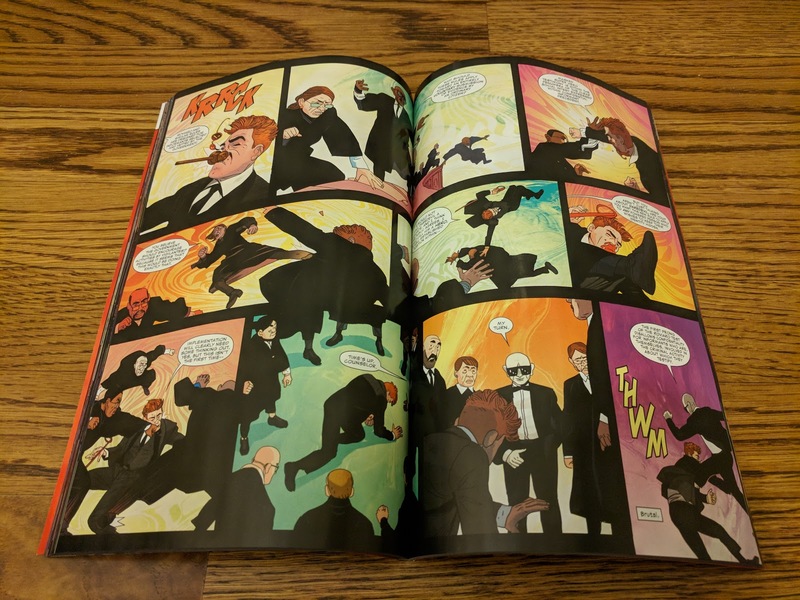 "Supreme" continues Soule's long term plans for the character as he further builds on the intriguing elements that he had introduced earlier in his run. 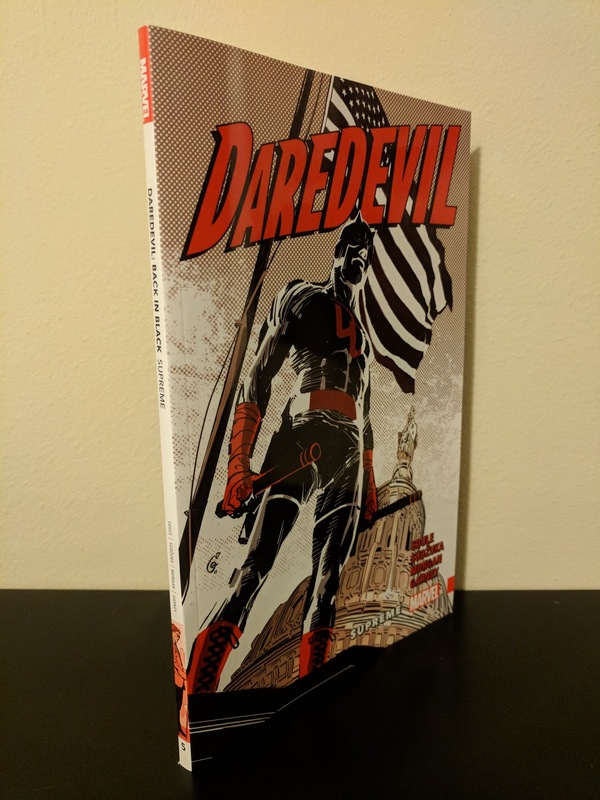 It focuses on Matt Murdock implementing his plan to legalize super-hero testimony in court (without their having to reveal their identities). And it's a battle that he takes all the way to the Supreme Court. 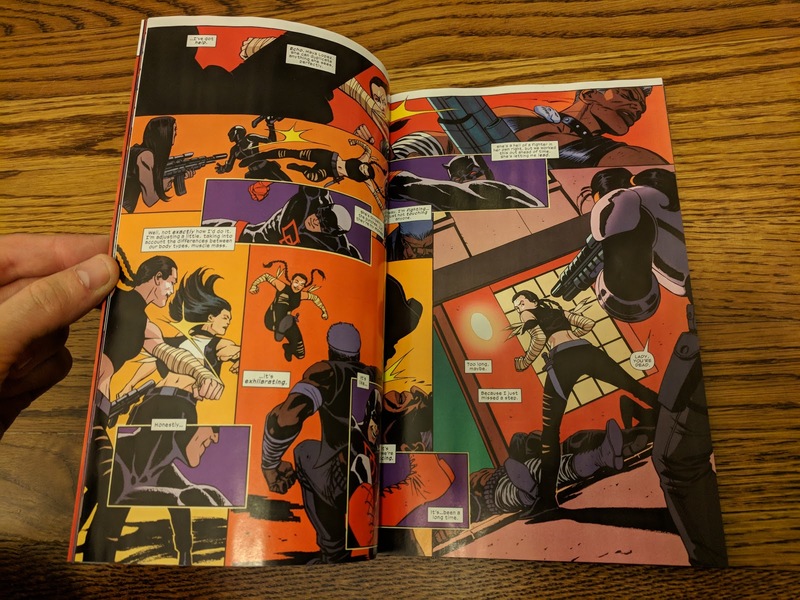 Along the way, Soule puts a few of Matt's known super-hero allies to work, including Luke Cage, Echo, and She-Hulk (and even references his previous She-Hulk run). 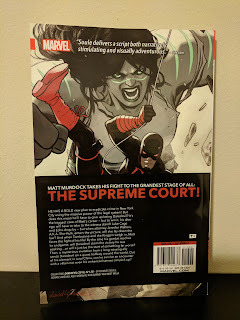 This collection also includes a couple of the coolest fight sequences in recent memory: one that puts a neat twist on a team-up with Echo, and another that acts as a metaphorical representation of a court room argument. The later of which was a great way to keep a typically slow 'talking heads' sequence engaging. I also particularly enjoyed he way Matt's and Foggy's reconciliation was handled. It was heartfelt and without being spoilery, sometimes things can be fixed that 'simply'. 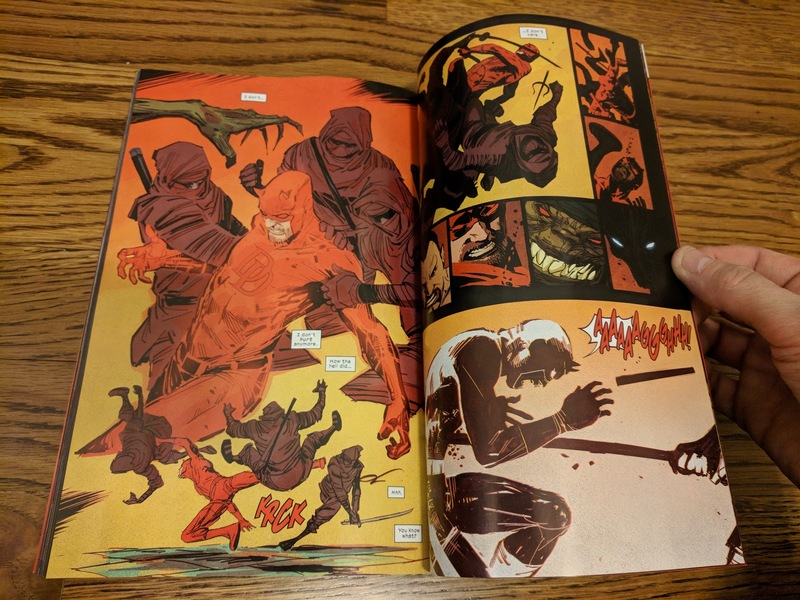 The pencils for this arc are split between Goran Sudžuka (issues #21-22) and Alec Morgan (issues #23-25). Between the two, I personally prefer Sudžuka's style, although Morgan illustrated the aforementioned courtroom argument 'fight' which was very well executed and is quite possibly the most unique fight scene that I can remember. 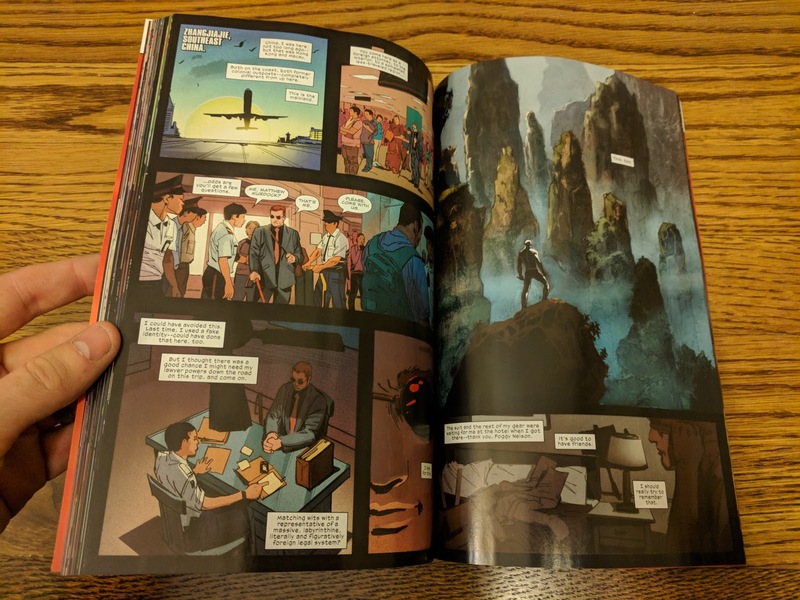 After the Supreme arc, we get the short "Land of the Blind" arc, which finds Matt returning to the Chinatown shrine (seen in earlier issues as a place Chinatown's citizens would leave Blindspot requests for help) and fulfilling the requests in Blindspot's absence. That is until he comes across a coded message from Blindspot himself, asking Daredevil to come to a remote Chinese jungle temple. When Matt arrives on foreign soil, he finds himself neck deep in Hand ninjas, and the situation gets a bit more serious than he had anticipated. We get some great character work here, especially in regards to Blindspot. 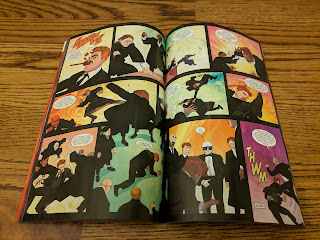 Ron Garney returns to pencil this arc, and it only takes a couple of pages to be reminded that his style is perfect for the book. I don't mean to take anything away from the other artist's that have worked on this run, but Garney's pencils are head and shoulders above the rest. It is unfortunate that he is not able to do more than about every other arc, but the results are definitely worth the wait. 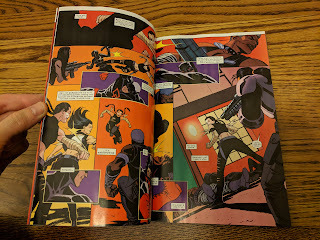 Continuing to visually unify the look of the book across the varying artists are Matt Milla's colors. 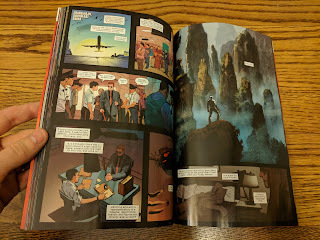 He manages to use the same pallet while at the same time using a slightly differing techniques in coloring each artist, helping to capture the mood of the various locations seen throughout the book. 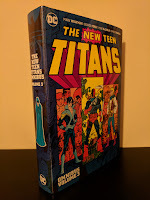 With this being the fifth volume in Soule's run, this is not the place to 'jump on' to the title. It is a great continuation of Soule's work with the character and I would highly recommend going back to the beginning (Back in Black Vol. 1-4) if you haven't already. 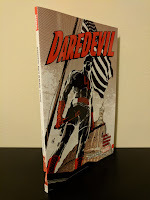 Soule expertly puts his own background in law to use, and in my opinion explores the lawyer/courtroom side of the book more deftly than anyone has in the pages of Daredevil before him. 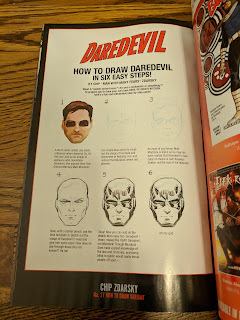 The things he is doing on the title don't just impact Matt's usual stomping grounds of Hell's Kitchen, but potentially the greater 616 universe as a whole. Soule also manages to relay these ideas in a way that everyone can understand which is a feat in itself, because let's face it, the law isn't always easy to follow. He effectively ties up some plot threads while also leaving Matt's world in a very precarious position heading into the Marvel Legacy era. I won't say any more as to not spoil anything (although most probably have an idea of where things are headed thanks to other sites on the internet). 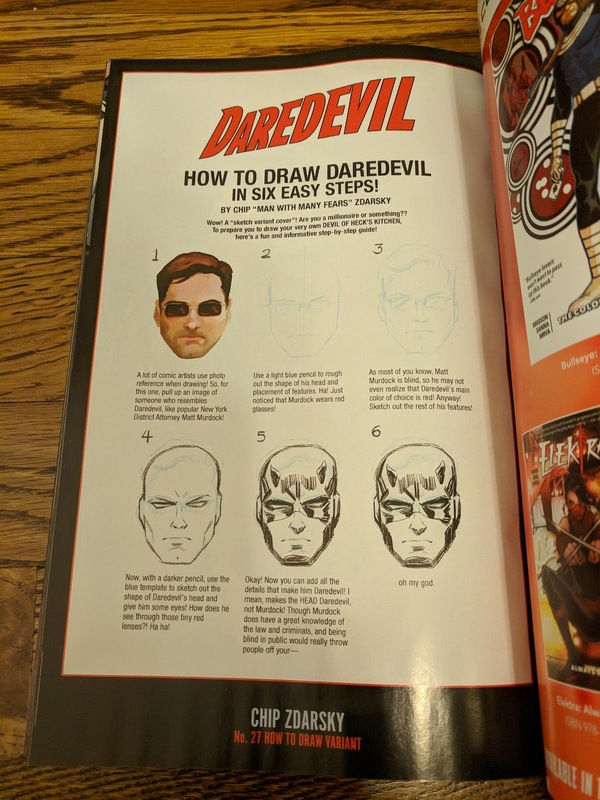 With this being just a standard TPB release there is little in the way of extras, although a couple of variant covers are reprinted, including the hilarious 'How to Draw Daredevil' variant from issue #27 by Chip Zdarsky. I know I'm a huge Daredevil fan and it would be easy to ignore my opinion as biased rambling, but I promise you Charles Soule's current run is severely under-rated. 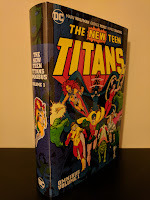 I'm not sure if that's because he immediately followed the highly regarded Mark Waid/Chris Samnee run or if it is because the first fifteen or so issues were a bit of a slow burn as he introduced new characters and moved pieces into place. But make no mistake, his run has only gotten stronger as it continues and many of the elements seeded earlier in the run are now bearing fruit. 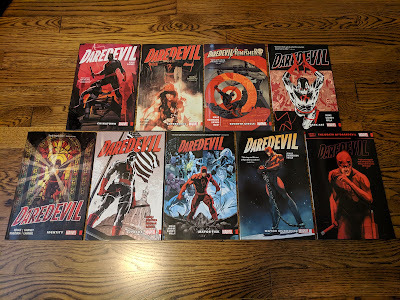 If you're a fan of Daredevil at all, you owe it to yourself to check out this run. I really hope that once Soule's time on the title has concluded, that Marvel collects it in the Omnibus format like its predecessors (or at least in over-sized hardcovers).